The list of jazz luminaries impressed by Cecile McLorin Salvant’s talent is itself impressive. They include Dee Dee Bridgewater, Kurt Elling, Wynton Marsalis, Patti Austin, Dianne Reeves and the late Al Jurreau. Salvant impressed the Grammy voters enough to land three nominations and twice carry home the golden gramophone. Salvant could be described as a jazz singer who primarily interprets the standard songbook, as well as adding original material. However, the four works that she released prior to the soon to be released project, The Window, are distinct. Cecile, her 2010 debut released after she wowed the critics and professional artists alike at the Thelonious Monk International Jazz Competition, served as Salvant’s introduction to the larger music world, and she displayed the type of range and phrasing to her interpretation to selections from the songbook canon that drew comparisons to Ella Fitzgerald and Sarah Vaughan that continue to this day. Salvant’s Womanchild saw the vocalist truly emerge as a vocal and creative force with a maturity beyond her years. Backed by a crack band that included longtime collaborator Aaron Deihl on the piano, that album showcased Salvant’s penchant as fearless student of music history as she introduced fans to long neglected tunes from the Vaudeville and ragtime eras, as well as the infancy of jazz. Her next record, For One to Love, was a continuation of that project, as well as fuller exploration of the dramatic flair that Salvant showcased on the earlier projects through the inclusion of several tunes released during the golden age of the musical. Those numbers draw on her background in musical theater and classical music. Dreams and Daggers, the Grammy winning album that Salvant released in 2017, found Salvant brining all of the above elements together on a project that served as a reminder that jazz is best experienced live. 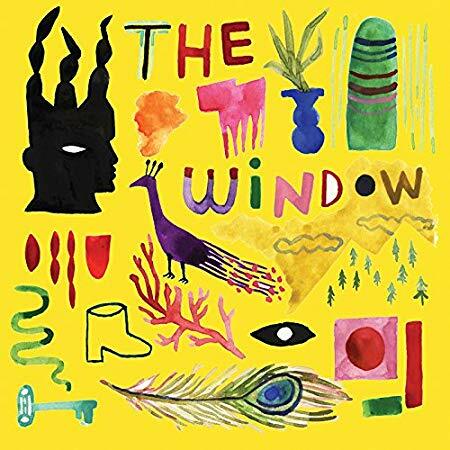 The Window, Salvant’s fifth album, is a decidedly stripped-down affair featuring 17 songs that pair Salvant with Sullivan Fortner’s piano. Salvant and Fortner have worked together before – most famously on “You’ve Got to Give Me Some,” the bawdy and uproarious, double entendre filled song from Dreams and Daggers – so the two have a rapport. Salvant’s penchant for fearlessness in the tunes she selects is apparent from the start when she tackles songs by two artists who are rightly viewed as R&B and soul royalty – Stevie Wonder and Aretha Franklin. Stripped down to its essence, infused with Salvant’s precise phrasing and Fortner’s pensive piano playing, the pair’s approach to “Vision” reveals through its intimacy a sense that the world has taken a step (or two) back from the dream that Wonder envisioned in 1973. “One Step Ahead” is a track that showcases Salvant’s inner musicologist. Franklin took the cut to the Top 20 in 1965, when she was still at Columbia. Franklin’s version was a pop R&B number in the Bacharach/David mode, and was probably the label’s effort to capitalize on the success Dionne Warwick had with “Walk on By” the year before. Salvant and Fortner transform “One Step Ahead” into a waltz while vocally Salvant adopts a sweet and light approach that plays with song’s topic about a woman trying with varies degrees of success to stay ahead of a less than sure love. Salvant is always at her best on tracks when she’s singing live, or when she unleashes her inner musical theatre actress. Fortner endows his piano playing on “Ever Since the One I Love’s Been Gone” with torchy late-night feel as his left hand seems to pound the depths of depression, while Salvant’s moves her voice from the youthful anticipation of waiting for a phone call to the bottom that moves from a realization that borders on rage when she realizes the call is not going to come. Sparse musical arrangements such as that on The Window offer few places for a singer to hide, but Salvant is not looking to hide. She is a revelatory artist. And while her talent has always been clear for all to see, her true gift is in her willingness to use her gifts to coax listeners out of their musical comfort zones. The art of persuasion rarely sounds so good. Recommended.